NEW! The aadlfreespace is now a self-bookable room. This 32-seat room is available for booking in advance only--no walk-ins. See the current room bookings and availability here. Book a room online using your aadl.org website account and your Library Card! Once you've logged in to aadl.org and added your Library Card in your Account Settings, simply browse monthly listings for rooms to see the current bookings and availability at Westgate and Downtown. Westgate Meeting Room A seats 5 people and Westgate Meeting Room B seats 8 people. Each room includes high-speed wifi, tabletop power, a wall-mounted screen, and an HDMI cable built into the table. You can book each room for up to 2 hours per day up to 12 times per year (365-day period) with your library card. Same-day Bookings can only be made in person at Westgate Branch for one hour. Rooms are available first-come, first-served when not booked. 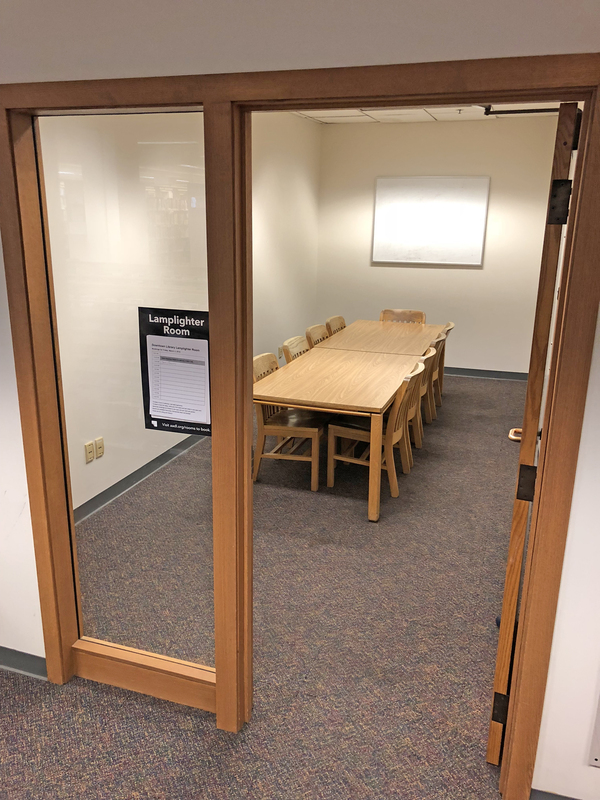 The Whiffletree and Lamplighter rooms are both located on the second floor of the Downtown Library. 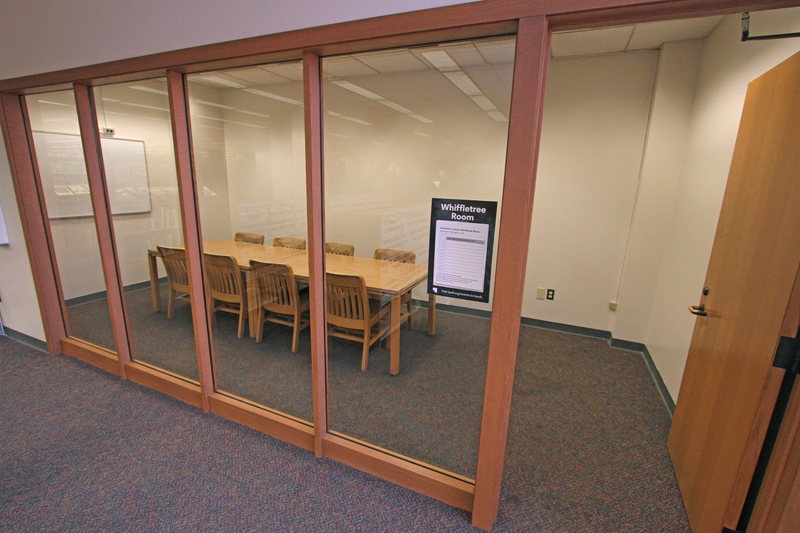 Each room can seat 8-10 people and contains a white board. No audiovisual equipment is provided or available for rental. 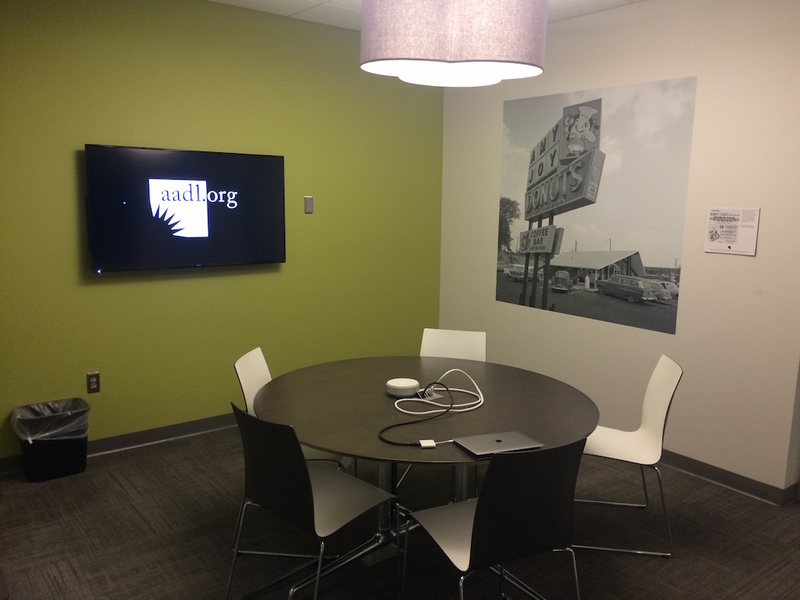 The aadlfreespace contains 32 seats, 4 tables, a dry-erase board, and a projector screen. No audiovisual equipment is provided or available for rental. You can book the Whiffletree and Lamplighter rooms for up to 2 hours per day up to 12 times per year (365-day period) with your library card. Same-day bookings can only be made in person for the Whiffletree and Lamplighter rooms for one hour. Rooms are available first-come, first-served when not booked. The freespace can be booked for up to 2 hours per day 12 times per year (365-day period) with your library card. Same-day bookings are not available for the freespace. When you arrive for your time slot, please come to the second floor desk and ask to be let into the freespace by a staff member. Parking is not available at the Downtown Library. There is plenty of parking at Westgate. No staff assistance or audio-visual equipment is provided. No custom furniture arrangement is provided. Furniture must remain in the room. The library will not be responsible for loss or damage of personal property. Meeting rooms are expected to be left in the same condition in which they were found. If you have any questions or need assistance, please call any library information desk at 734-327-4200. 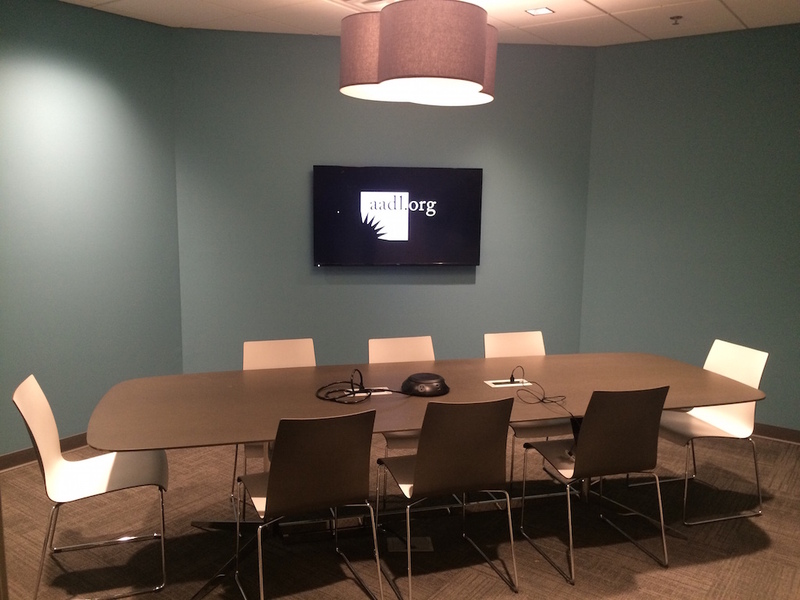 Looking to use one of our larger rooms? Some are available for paid Room Rental.